A cop in a donut shop may sound like a cliche to most of us, but for 9 year old Brooke, the scenario was one she will remember for a long time. 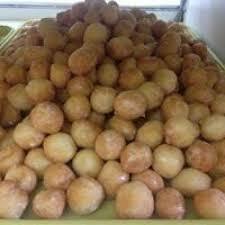 Brooke was standing in line at a gas station, waiting to buy some donut holes. But when she got to the cashier, she discovered that she didn’t have enough money. What happened next created a chain reaction of kind deeds which is melting peoples’ hearts! We’ve all been there – you place an order, reach the cashier and realize you don’t have enough cash. 9 year old Brooke describes the moment in a way that we can all relate to. But luckily, Trooper Chad Savannah was standing behind her in line, and without missing a beat, he told the cashier to add Brooke’s order to his bill. Brooke was caught off guard by the kind gesture, and as many young kids would do in her position, she hurried out of the store after receiving the donuts. But when Brooke got home, she was able to collect her thoughts, and decided to write a ‘Thank you‘ note to her local police department, thanking the unknown trooper for helping her. 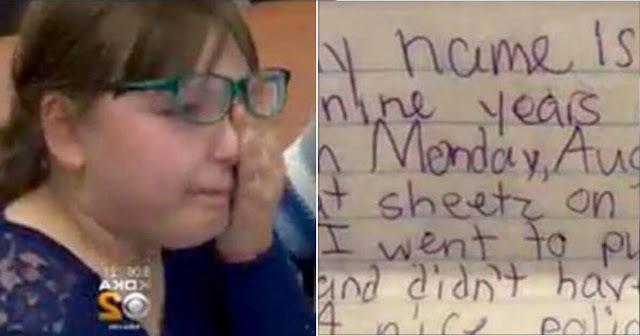 In the letter, she enclosed a $10 bill to cover the cost of the donuts. “I think everybody here was very moved by the kidness of this 9 year old,” says the captain of the police department to KDKA News. The officers decided that Brooke deserved a reward, and gathered some money together to purchase a $50 Toys R Us gift card for Brooke. They mailed the card to the little girl and figured she would buy some toys for herself. But what she did instead took them by surprise. She purchased $50 worth of toys with the gift voucher and donated them to Toys for Tots. When the police found out about Brooke’s generous donation, they decided that she deserved a special treat. They invited her to the police station, where she was given a full tour. Her favorite part of the day was getting to sit in the squad car.